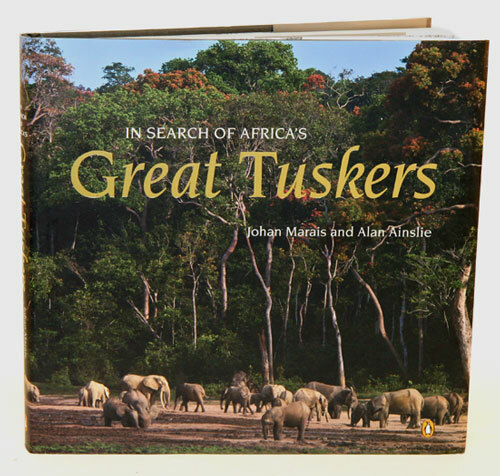 Author and photographer of the bestselling book “Great Tuskers of Africa”, Johan Marais has had a life-long love affair with Africa and its people. From early childhood, he has engaged the wilds of Africa, being raised in Etosha and spending endless hours in nature. Johan has always been fascinated with elephants and in particular with the large ivory carriers. As an explorer-adventurer, Johan has traversed vast landscapes of this great continent in search of Africa’s great tuskers, from the endless plains of the Serengeti to the dark rainforests of Central Africa. In his first book you can feel his passion for these old lords of the wilderness. Focusing mostly on Kruger National Park, the book showcases the magnificent big bulls that traversed the savannah and mopaneveld of Southern Africa, including the Magnificent Seven and other living legends of the Lowveld. 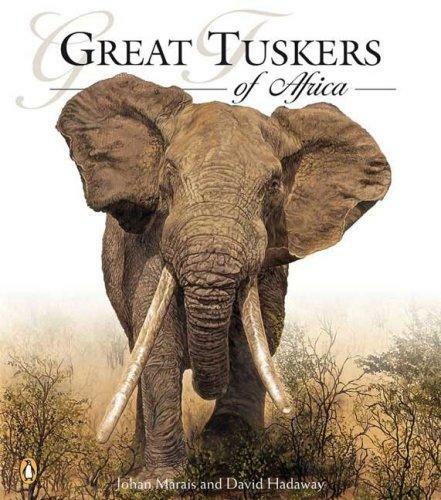 This book celebrates conservation as it takes you on a journey to national parks and heritage sites to find the majestic great tuskers, as well as the charismatic creatures that surround them. 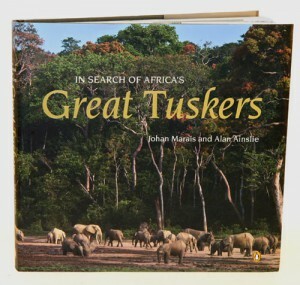 Elephants once inhabited all the breath-taking biomes of the continent until, due to hunting and poaching for ivory, the great tuskers almost became extinct. The book follows a personal account of how this keystone species is being conserved and protected due to the work of environmentally conscious people like Paul Kruger, Daphne Sheldrick and Chief Tembe so that we may once again see elephants with extraordinary tusks. The beautiful images make it must-have for the coffee table.